For mounting cameras or spotting scopes etc, to car door windows. Also available ~ Spotting scopes. Smooth swivel and tilt action with locking handle. 3¾ inches/95mm high (to camera base plate). 6¼ inches/160mm long (with handle). Heavy-duty aluminium construction with stainless steel fittings. 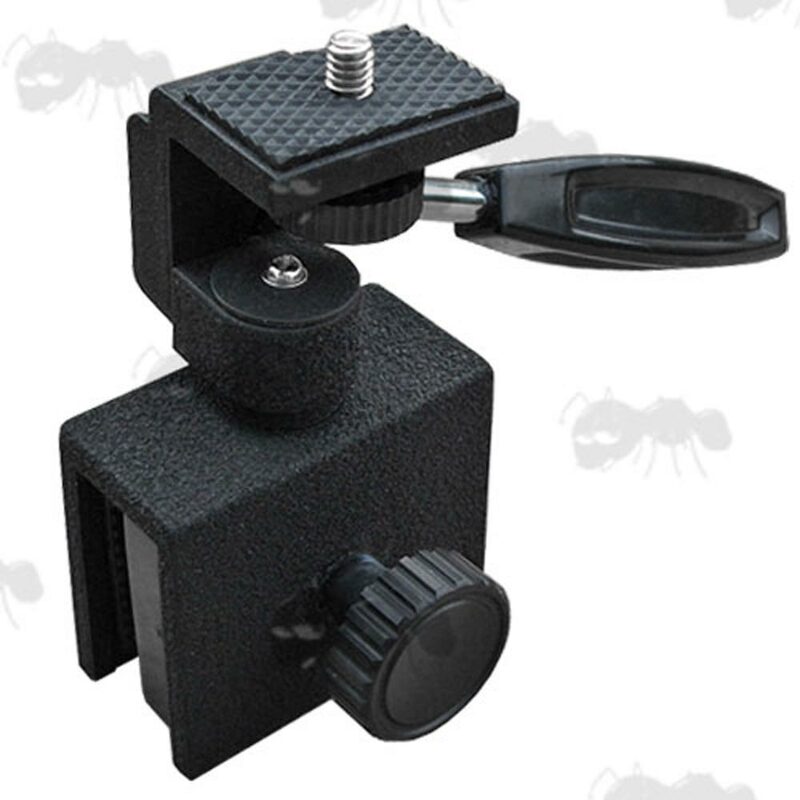 Chunky plastic handle and rubber padded clamp and camera base plate. Maximum loading capacity approx ~ 6.6 lbs / 3 kg. Weight approx ~ 235 grams. cameras, binoculars and monoculars use. Attaches to top edge of car window's glass, that is up to 5mm thick. It fits all scopes and cameras and monoculars with standard mount fitting. Aluminium alloy construction with matt black powder coating finish. 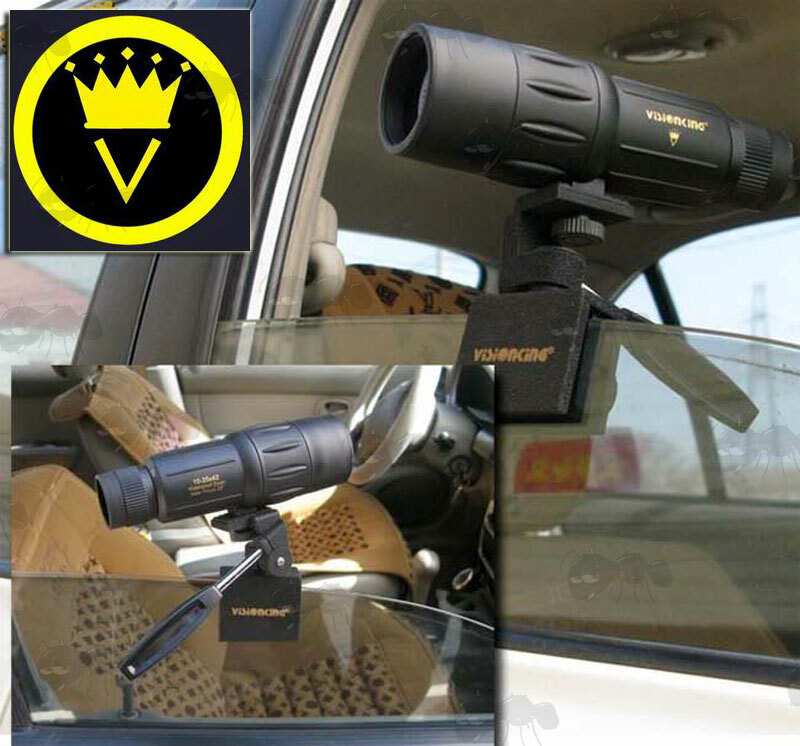 The Visionking 10-25x42 monocular is not included.